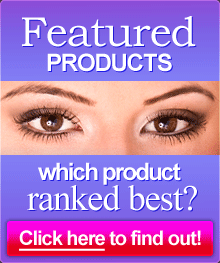 Ardell has been one of those companies that have brought us some pretty good things as far as false eyelashes go, and are considered to be an authority in the industry. That's a good thing when there are so many products, as that can be expensive, and trial and error isn't out of the norm with products like these. In any event their Lash Accents line has been really successful, with quite a few people buying what they've been offering. These formal false eyelashes are generally considered amazing for wedding or prom, but they may have a bit more purpose than that, depending on what the situation may call for. Applying eyelashes are a lot easier than you may think; they really don't take too much effort. Before you apply them, make sure that you've already applied your makeup. Then, with tweezers, extract them from the tray and place them on top of your natural lashes, starting from the corner where your lash starts. If it's too big, you'll want to cut them. From there, it's mostly like other eyelashes that you'd run across - allow the adhesive to set about 30 seconds and place it onto the natural eyelids. Fortunately enough, that's just about all that you have to do as far as these eyelashes are concerned. What we also like about these lashes is the fact that they're not too hard for you to pull off, either. This can be done quite simply and how one would expect. All that's required of you is to start from the outside edge of your eye and pull off as gently as you can. Even though they're very close to your natural eye, you'll find that this isn't a hard thing to be accomplished, as they pull right off. After you've successfully removed them from your eye, place them back into the rack so that you can wear them again. It's not uncommon for you to get about 3 or 4 different uses out of them, so be careful. Of all of the things these guys are doing, it seems as if a wide number of people are mostly pleased with their prices. While they do make a good product, the fact that they're easily affordable is something that a lot of people are genuinely pleased with, and when it comes down to it affordability is always a top concern. This particular product is available for substantially less than what most of the other top companies are making. In addition to that, you know that you're getting some pretty good quality here, as the Lash Accent # 318 happens to be one of their newest and most popular eyelashes of the season. While the Ardell fake lashes are assuredly a great choice, you may want to invest in something that will improve the quality of your natural eyelashes. Our eyebrow growth serum reviews is something that you may want to check out, as we have many reviews from women who were quite pleased with this fake lash alternative.